A colorful card today using one of my favorite stamps. The sponsor this week is Penny Black and you know how much I love their stamps. Winning combination!!! 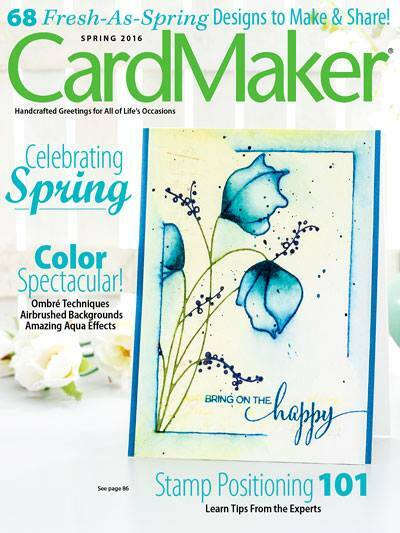 Flowers were stamped onto watercolor paper, then water-colored. Purple card base was stamped and heat embossed with iridescent powder. Just a touch of Stardust Stickles added to the flowers. I must say I love the blues and purples among the Aqua! The purple/blue of your blooms is just stunning! Gorgeous card!! WOW! Striking, stunning and so gorgeous Penny. Loving the blue/purple shades you've created. In awe! 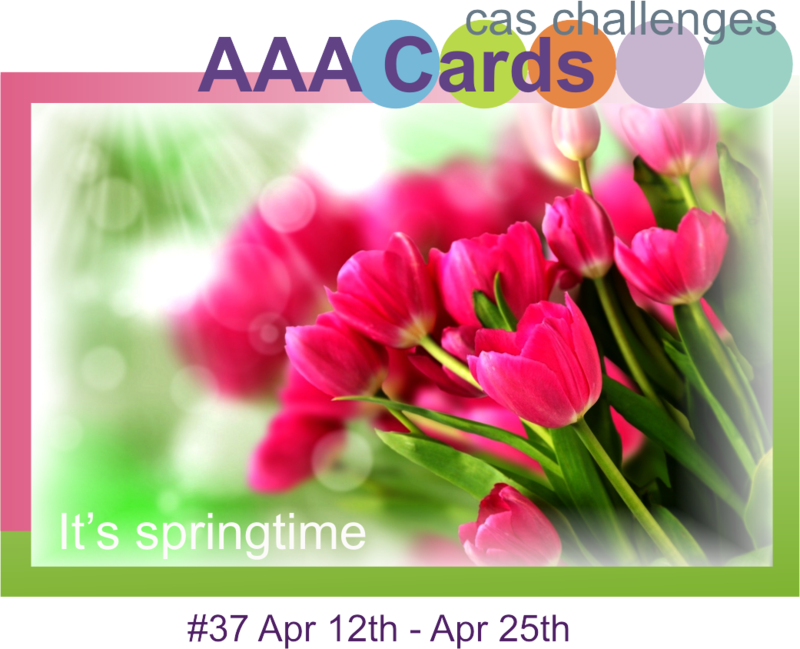 Thanks so much for linking up and playing along at AAA Cards. Wow!This card is utterly amazing! The colors of your watercoloring are just stunning! gorgeous card! wow! love how you colored those flowers, sooooo pretty. thanks for playing with us at Curtain Call. 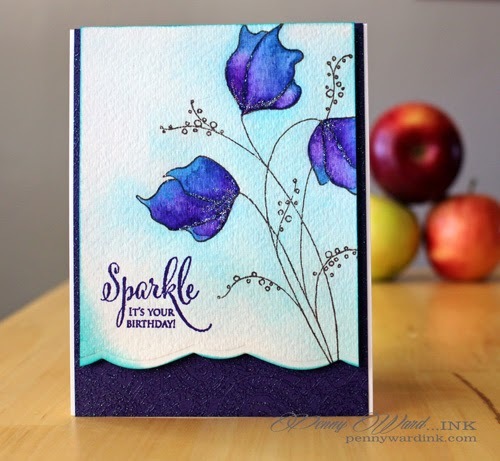 BEAUTIFUL blues and purple tones in this incredible card!! 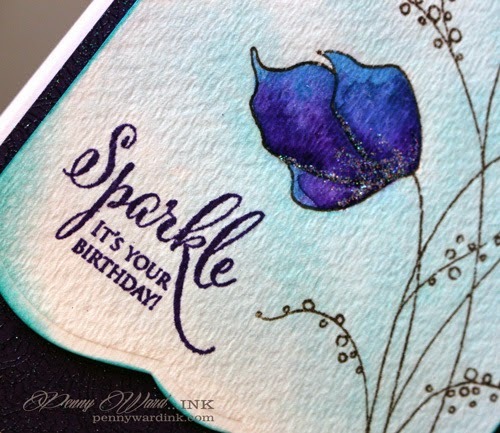 Love that flower and I love how talented you are with flower stamps - you use them with such grace and style!! Oh my, this creation is so gorgeous! I love the deep tones on the pale background. Your water coloring is so wonderful! The addition of stickles is the perfect touch. Thanks for sharing, linking up with us and playing at AAA Cards! This is so beautiful, Penny. 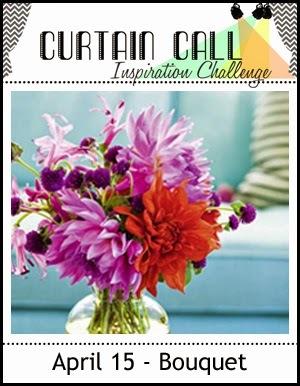 I love the bright flowers against that soft background, and the border edge adds an extra special touch.